Just about every trip we make to Jakarta, we will make a pilgrimmage to Pondok Laguna. They're reputed to have one of the best gurami in the city and thus far, I haven't tasted anything to contest that claim. 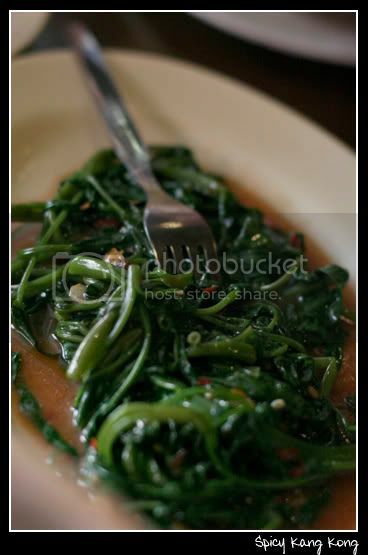 And you gotta admit that when presented with such a simple yet artistic dish, it's hard to find a match. 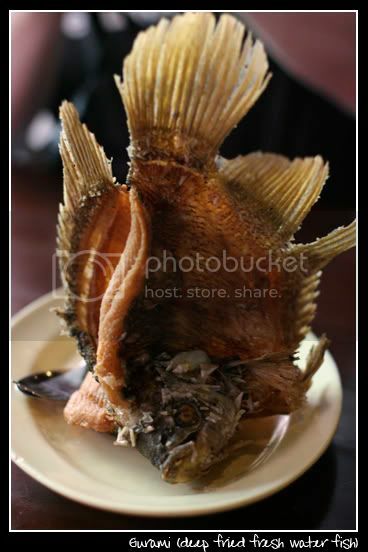 Most other establishments offer this crispy crunchy fish lain flat on the plate, but at Pondok Laguna, they fry these babies in a vat of boiling oil to enable the fish to maintain an upright position as it cooks. It is so crunchy, you can eat just about every part of it, including the fins and bones. If you've never had the pleasure of tasting this fish or usually dislike freshwater fish due to the lingering aftertaste of mud, expect a salty and flavourful fresh white flesh. The SO calls it the Indonesian French fry, cuz I'm quite happy to gnaw on the fins as much as the filleted flesh. 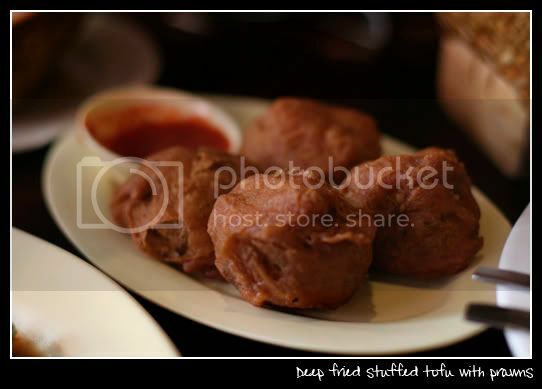 We were first served with these delicious balls of deep fried yumminess (tahu kipas). These batter fried tofu balls are stuffed with juicy fresh prawns, firm and meaty to bite into. While the earlier gurami is quite traditional, this variation doesn't disappoint. 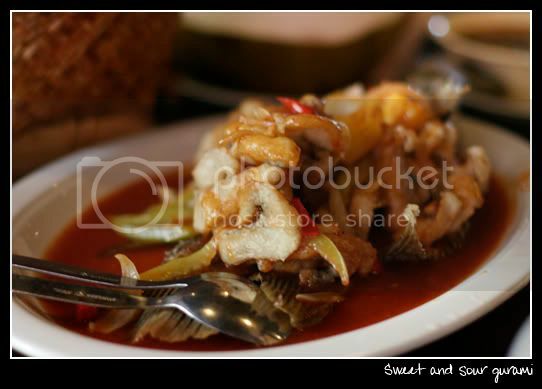 The fried fish is drenched in a tangy sweet and sour sauce, loaded with fresh vegetables. The crispy flesh really soaks up the liquid like a sponge, giving you a double whammy of flavour. Unfortunately this means you lose out on munching fin and bone bits that get a tad soggy. 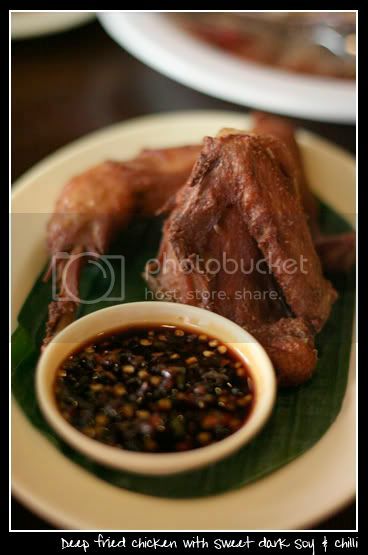 And the all compulsary ayam goreng (fried chicken). Yum yum yummers!